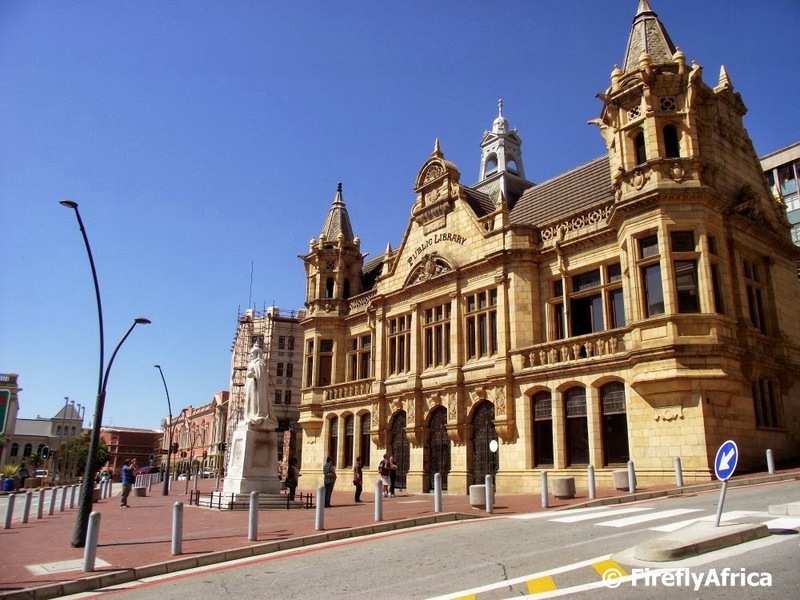 One of Port Elizabeth's best known historic landmarks is the Public Library with the statue of Queen Victoria in front of it. 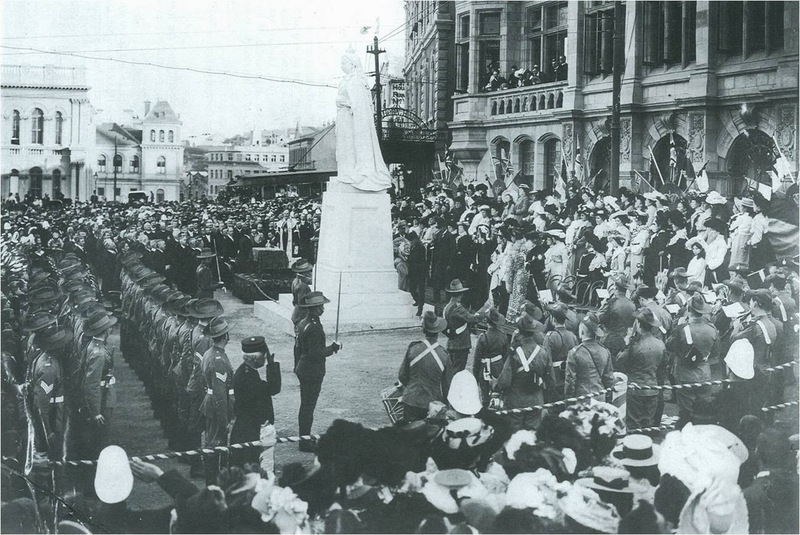 The statue of Queen Vic was unveiled by major of Port Elizabeth, J.C. Kemsley, on 30 September 1903. It was carved from Sicilian marble by Edward Roscoe Mullins of London to commemorate the Queen's Diamond Jubilee which took place in 1897 and was paid for my public subscription. The first site preferred was in front of the City Hall but the present site was chosen after it was suggested by the Guild of Loyal Women. Standing in front of the library, the statue looked down Jetty Street to the main entrance to town. Looking at the statue today there is one small difference from when it was unveiled. The railings around the bottom which was added in 1904. The statue has since been restored by local sculpture Anton Momberg in 1992. In an April Fool's joke in the Herald this morning the paper reported a special rates increase to pay for the cost, reportedly R15m, to remove the statue and replace it with a “20 years of freedom” commemoration plaque. Oh yeah, and on Facebook they used a picture from PEDP to go with the article.